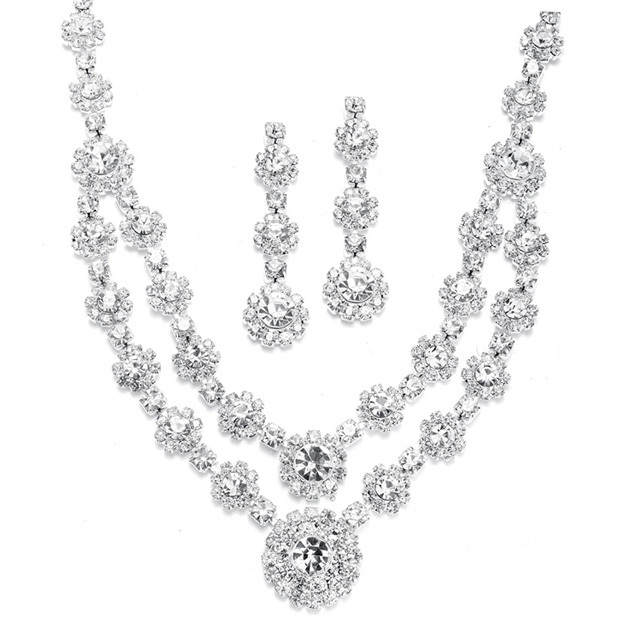 * Mariell's regal two-row rhinestone necklace and earrings set is a brilliant sophisticated accessory to light up your special occasion. * This adjustable necklace measures 13" - 16" and drops 1 3/8" in the center. * The matching graduated rhinestone earrings are 1 3/4" h.